I have seen many of the webmasters still struggling to clean up the link profile of their website. The recent Penguin updates have forced the webmasters to revise their link strategy and remove all the bad backlinks pointing to their site. This post will show you the best way to clean up your site profile using tools and techniques best recommended by industry experts. A genuine and authoritative site should have a clean link profile that is free from all forms of spamming. Here are the 3 essentials of having a google friendly backlink profile. The definition of spam is often misunderstood by many webmasters and strangely enough, many of them end up removing the good links along with the bad links. Spam is something that irritates the user and this is something that the search engine hates completely. Links from low quality directories, low quality bookmarking sites, sites having high ad to content ratio, sites having 0 PR (leaving some exceptions like a new domain), sites having too many OBL's, sites pointing to spammy niches etc. Natural links do not always have the same anchor text used again and again. Hence, in order to have a natural link profile, webmasters must restrict the use of primary keywords in the anchor text again and again. FFA stands for Free For All sites. Sites that can easily be manipulated for linking back to any site holds a lesser value for the search engines and having too many links from sites that can be easily manipulated is a strong signal for Google that the site is creating backlinks for itself instead of earning them. This is the difference between natural links and relevant links, it is harder to create natural links (you have to earn them) as opposed to relevant links which you can create easily. Techniques like article syndication contribute towards the creation of relevant links instead of natural links (YES, there can be natural links too pointing to your site this way but that depends on the overall link profile of your site). The first step would be to download and analyze all of your sites links using tools like Google Webmasters Tools and Ahrefs. Another useful tool like link detox makes the job of finding bad links even more easier. It shows all the toxic links and provides an easy chance for you to remove those references. Once you have gathered all the bad links, prepare an excel sheet mentioning the exact references, PR, DA and webmasters email id. Now start the removal process by individually contacting the webmasters. Prepare a txt file for all the links for which you have not succeded in removing and log in to your webmasters tools account. Use the disavow tool to disavow all the remaining low quality links. This tool will allow Google to detect the domains passing links which you do want Google to count. After submitting the txt file, wait with patience and let Google process each and every low quality link. Where can I Find the Disavow Tool? Can I Resubmit the Disavow File? 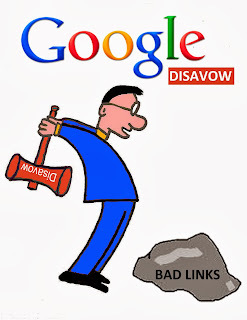 Yes, you can resubmit the disavow file in case you have missed some processing of bad links. How Long Will it Take for Google to Process the Links? There is no guarantee but it might take between 3-6 months or more. How to Keep Your Site Safe from Negative Seo?